HIDALGO — “Varekai,” the Cirque du Soleil production, is coming to State Farm Arena for seven performances from Dec. 6-10. This is the final season for “Varekai,” with Hidalgo being its second-to-last stop before Cirque du Soleil retires the production with a performance in Sugar Land. “Varekai,” which means “wherever” in the Romany language of gypsies, has toured five continents for 15 years. Originally staged in one of Cirque’s signature big-top tents, the show was restaged in 2013 for arena performances, such as State Farm. As part of the announcement Tuesday, the show’s international cast, led by Artistic Director Bruno Darmagnac, made a special video saying in various languages how excited they are to visit Hidalgo. The show tells the tale of what happened to the mythical character Icarus after he flew too close to the sun, reimagining him falling into a lush forest full of exotic creatures. There are 50 cast members featured in the production who come from 13 different countries. There are also 50 crew members on tour, including coaches, medical therapists, wardrobe employees, stage managers, technical specialists and administrative personnel. 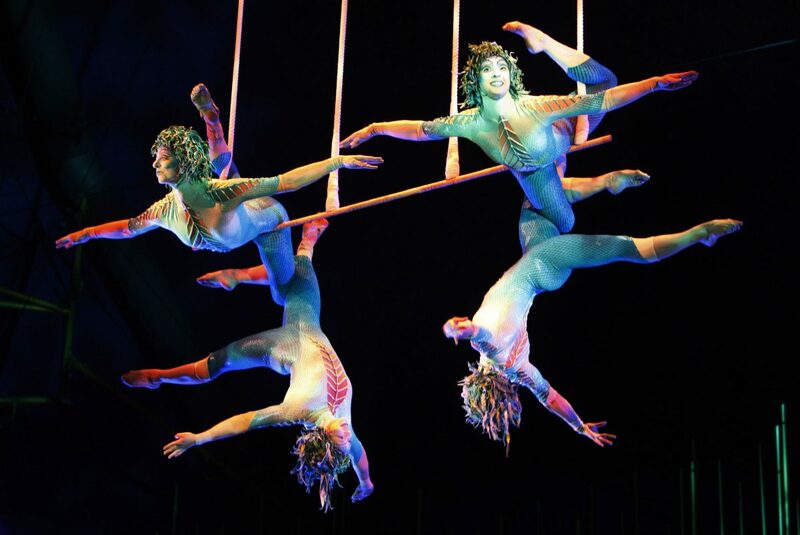 Cirque du Soleil started as a group of 20 street performers in 1984 and has evolved into a major artistic entertainment company with close to 4,000 employees, including 1,300 artists from more than 50 countries. There are many different Cirque du Soleil shows and productions, some touring across the world. Cirque’s “Quidam” and “Dralion” have previously made touring stops at State Farm Arena. Tickets for “Varekai” go on sale Sept. 30 at ticketmaster.com and in person at the arena box office, city officials announced Tuesday.